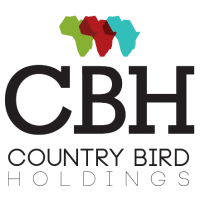 Country Bird Holdings, known as CBH, is one of the largest poultry and animal feeds producers in Africa, priding on innovation, diversity and commitment to quality. CBH is a dynamic agricultural business comprised of operations that stretch across all major concerns within the sector. This holistic approach encompasses breeders, broilers, feed, abattoirs, distribution and logistics. Established in South Africa in 2003, CBH has operations in Botswana, the DRC, Nigeria, Mozambique, Swaziland, Zambia and Zimbabwe. Having aligned with sound partners, CBH has the resources to realise their vision of continued expansion into the rest of Africa. “Our existing Data Centre provider could not offer us the customization, agility nor flexibility that our business demands to promote growth and change aligning with our Group strategic strategy,” explains Nicholas Robinson, CIO at Country Bird Holdings Pty Ltd.
CBH was looking to partner with a provider that will assist not only with the provisioning of the IaaS but also with the support of the solution architecture, right down to Database management and optimization. A key differentiator was Strategix took time, over several months at no cost to business, to understand the CBH business demands and requirements, across all their businesses and countries, offering Proof of Concepts and then again tweaking the solution accordingly. Strategix has implemented a background replication of CBH’s server environment to provide flexibility in relation to final cutover timing, thereby reducing any downtime to business. The project needed to coincide with the go-live of the client’s new MPLS network, terminating at Teraco data centre. The solution has been implemented at Teraco, with redundancies in place at Hetzner. Overall, the solution delivered a new location for the existing data centre, migrating 14 servers, including critical infrastructure such as the client’s ERP environment and Domain Controllers, as well as successfully migrating their users to Microsoft Office 365. ”The transition went smoothly, with minimal disruption to our 24-hour operations. It has allowed us to re-architecture nimbly to suit our expanding pan-African business requirements,” comments Robinson. CBH commends Stategix’s culture and positive attitude in architecting the environment, supporting the cutover and bedding down once the cutover was complete. Changes are implemented promptly and supported with educated discussions around requirements and impacts. The overall performance of the data centre, via improved costs and uptimes, positively impacts productivity. “Our experience with Strategix was one of partner first, provider second, with a strong emphasis on understanding our business and ensuring we had the right long-term solution, ahead of just looking to push product,” concludes Robinson.